Hitler Was A Capitalist!!!!! : Soviet Propaganda Poster: "Kill The Fascist Reptiles!!!!!" 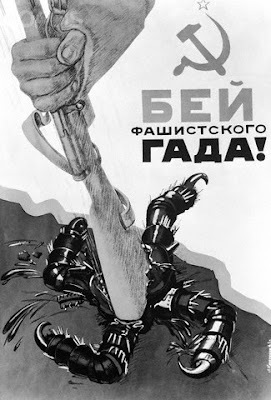 Soviet Propaganda Poster: "Kill The Fascist Reptiles!!!!!" Translates to "Kill The Fascist Reptiles."